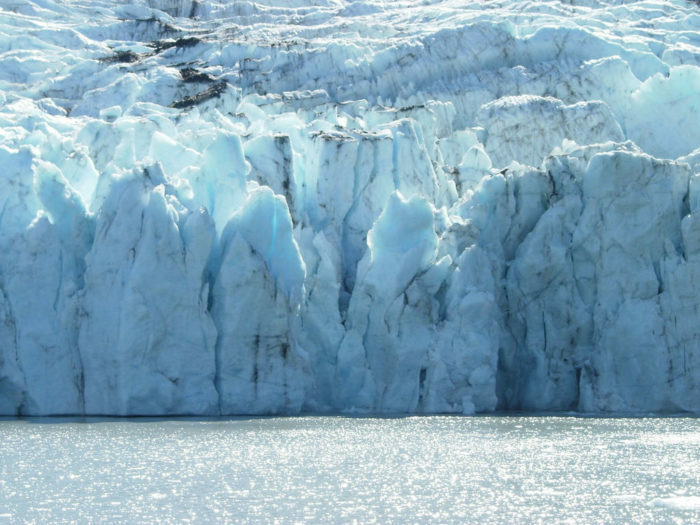 Most of the United State’s glaciers are located in Alaska. In fact, Alaska has more than 100,000 glaciers. 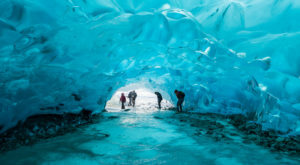 There is one beautiful glacier that is approachable by hiking, biking, or skiing during the winter. 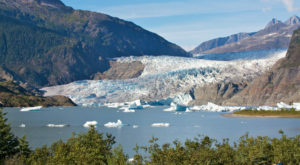 Located just a short drive from Anchorage, the trail to Portage Glacier is accessible to many different skill levels! 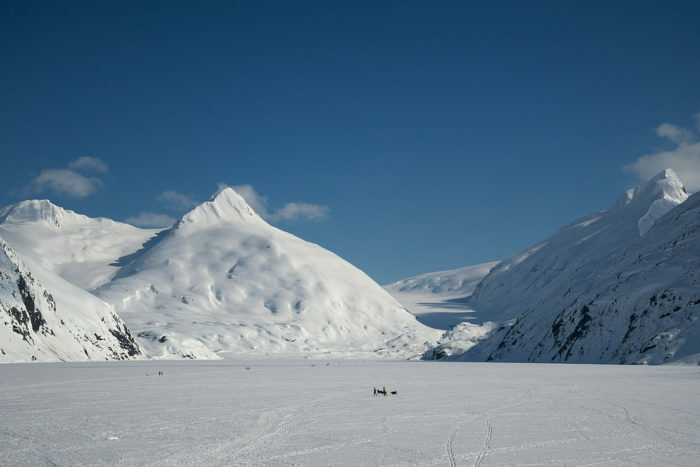 Portage Glacier is located in Portage Lake, inside the Chugach National Forest. It is located right before the tunnel to Whittier. 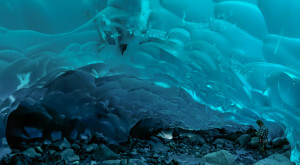 This very cool glacier is only about 60 miles from Anchorage, Alaska, which makes it an excellent day trip. The glacier itself is almost 10 stories high. It is over six miles long, but it used to be much, much longer. 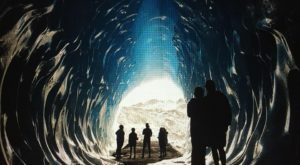 In the last 60 years, the glacier has retreated significantly. In order to see the end of the glacier, you have to hike out to it in the wintertime or take a boat out to it in the summer. 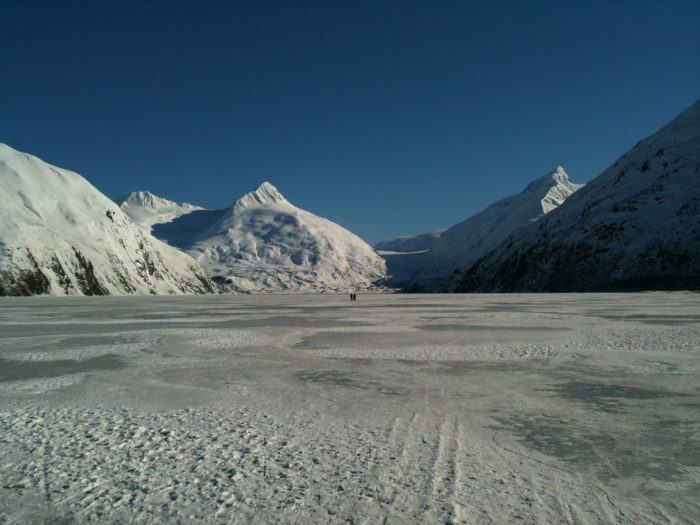 Conditions at Portage Lake during the winter tend to be cold enough for an excellent trekking environment. There can be a cold, brisk wind coming off the glacier, so it is always important to dress warmly! 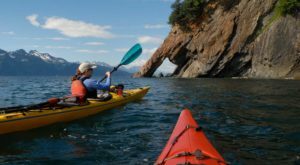 Because your surroundings can change rapidly, when you plan your day it would be wise to bring a couple of different ways to get to the glacier. 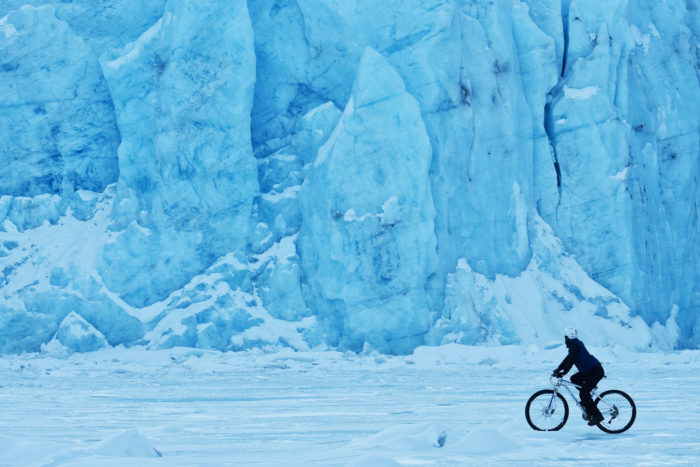 Fat biking, which got its start in Alaska, is a fantastic way to get to the glacier. Only 4-5 miles from the parking lot to the glacier, a bicycle can make quick work of getting to the face of the glacier. Many others choose to cross country ski out, as well! That is an excellent way to get there, especially after a fresh snowfall. Still, others decide to do the easiest route, by walking or hiking out to the glacier. This is best to do with crampons to prevent falls on the ice. This can take the longest, so be prepared by dressing warmly! 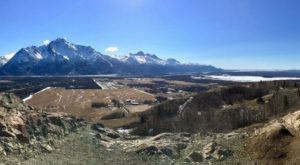 It's a stunning hike, and the views are fabulous. There are no guided signposts, as the lake can go through many freeze and thaw cycles in a single winter. The winter fun is best experienced from December through February when cold temperatures tend to be at their most stable. The blue of the glacier is mesmerizing, and on a cloudy day, it glows. Be wary of getting too close to the face of the glacier, as this is an actively calving glacier. Large chunks of ice may carve off and fall through the ice, lifting up the areas you are standing on. Make sure to check the ice reports before you head out for a day of adventure. 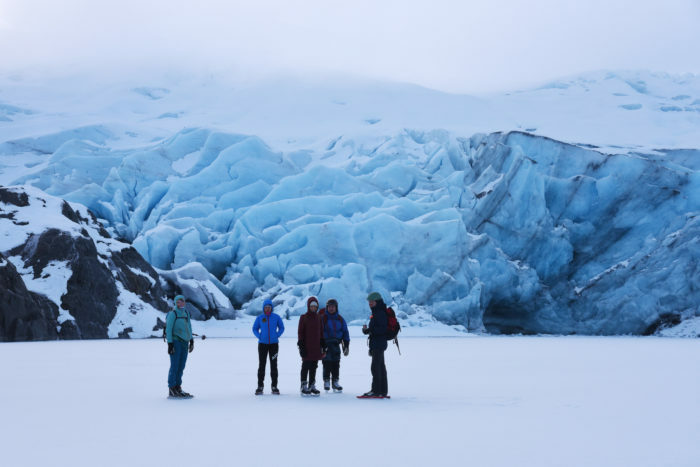 Have you hiked out to Portage Glacier in the winter? Did you bike, ski, or walk all the way out there? What did you think? Let us know in the comments below! 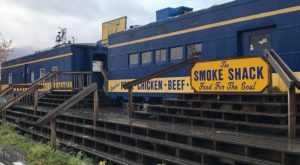 When you’re on way to Portage Glacier, don’t forget to grab something warm to eat! 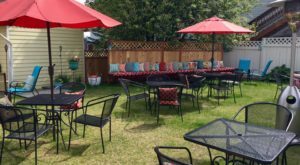 The Teeny Tiny Brunch Restaurant In Alaska You Simply Have To Try is a perfect spot for something delicious!